Unpacking This Popular Success Myth Will Make You Rethink Achievement Is Fear and Self-Doubt Holding You Back? These messages often come from parents, teachers, coaches or other authority figures who mean well, but have no idea they’re stomping all over your heart! One of the first steps to achieving your dreams is to learn how to overcome external resistance. In other words, you must truly believe that what you want is possible and be willing to ignore anyone who tells you otherwise as you move forward to seize your dream. 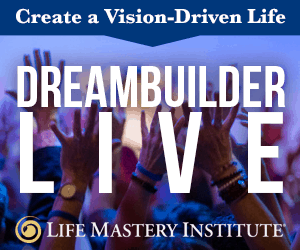 My youngest son, Mat Boggs, is the Co-Founder and Director of Life Mastery Institute, as well as the Master of Energy at DreamBuilder LIVE, an immersive, three-day event during which we reveal a proven, reliable and repeatable formula to creating a life you love living, faster and more easily than you ever imagined possible. This event is based on my 40 years of dedicated study and 30 years of application to the lives of tens of thousands of people. 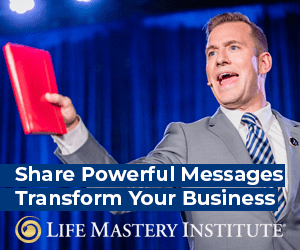 We’ve taught hundreds of our students at Life Mastery Institute how to speak on stages just like this one to spread powerful messages of transformation. In this video, from the DreamBuilder LIVE stage in Los Angeles, Mat shares his infamous “Kamikaze” story about becoming a college football player at the University of San Diego, despite the fact that he was told it wasn’t possible. This is one of Mat’s signature talks that he’s perfected especially for this event. Your dream was given to you for a reason. The question is, are you willing to claim it? I am ready and willing to claim my dream!!! Honestly the presentation is very fantastic and enhance very nice commendation. I am thinking of the next step on a certain matter, thank God for the seminar it really helped. Madam, Ireally thank God for your life and family and I pray that God shall Bless you abundantly spiritually, morally and crown all your efforts with everlasting happiness Amen. Daily; im told i can get helped. Ive asked so many times this yr. 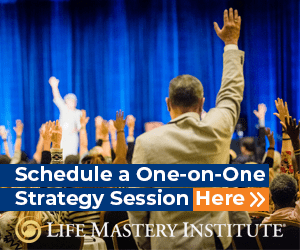 I would love to attend a live seminar either in Denver or Chicago … both my residence! I am intrigued interested and in really want to learn MORE!! !